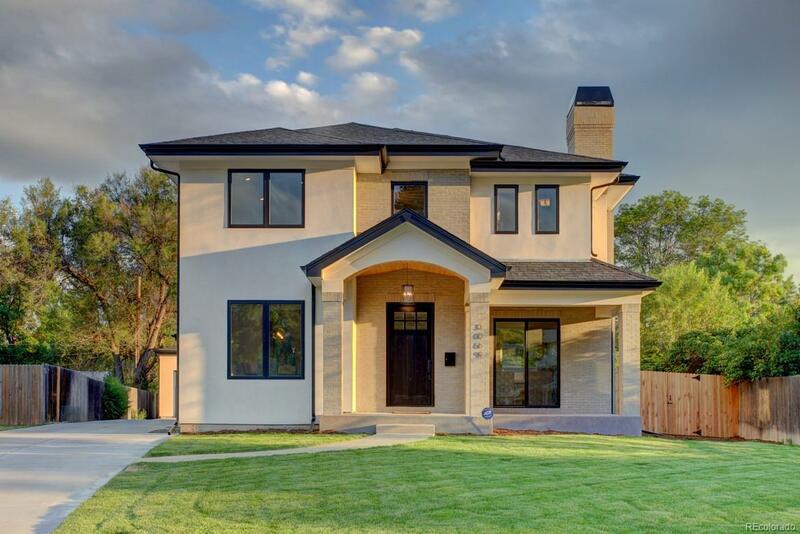 A CUSTOM COLORADO MASTERPIECE HOME ON A 11,400 SQ FT LOT IN THE HIGHLY SOUGHT AFTER UNIVERSITY HILLS NEIGHBORHOOD!CONTEMPORARY FINISHES AND CRAFTSMANSHIP THROUGHOUT, THIS AIRY FLOOR PLAN PROVIDES EASY ENTERTAINING FLOW THROUGH THE GREAT ROOM DINING SPACES AND GOURMET KITCHEN. THE OPEN GREAT ROOM HAS A FIREPLACE AND TALL CEILINGS ALONG WITH LARGE WINDOWS SURROUNDING YOU FROM EACH WALL, OPENS TO THE KITCHEN, DINING AREA AND TWO SETS OF PATIO DOORS LEADING YOU OUT INTO THE OUTDOOR LIVING SPACE AND COVERED PATIO IN THE BACK YARD. KITCHEN IS EQUIPED WITH STAINLESS STEEL JENN AIR PROFESSIONAL APPLIANCES AND LARGE KITCHEN ISLAND AND WALK IN PANTRY PERFECTLY CREATED FOR THE CHEF AND ENTERTAINER IN MIND. MAIN LIVING AREAS ALL HAVE BEAUTIFUL WHITE OAK WOOD FLOORING AND EXQUISITE MODERN LIGHT FIXTURES! Offered by Woodruff Re Development Llc. Basement Ceiling Height 1O FT.